Happy Sunday love bugs! I know we talk a lot about “waiting periods” around here because that’s kind of what I know best (I’ve been going through one for quite some time)! If you don’t know, I broke up with my long-term boyfriend about 3 years ago and I have been learning, growing, changing, and yes, waiting, every day since to see what joy the Lord has planned next for me! While I’ve definitely dated in the meantime, there hasn’t been a story worth sharing yet, so it leaves me… waiting. But what gives me such immense hope is looking back on who I was 3 years ago and then realizing just how far the Lord has brought me! 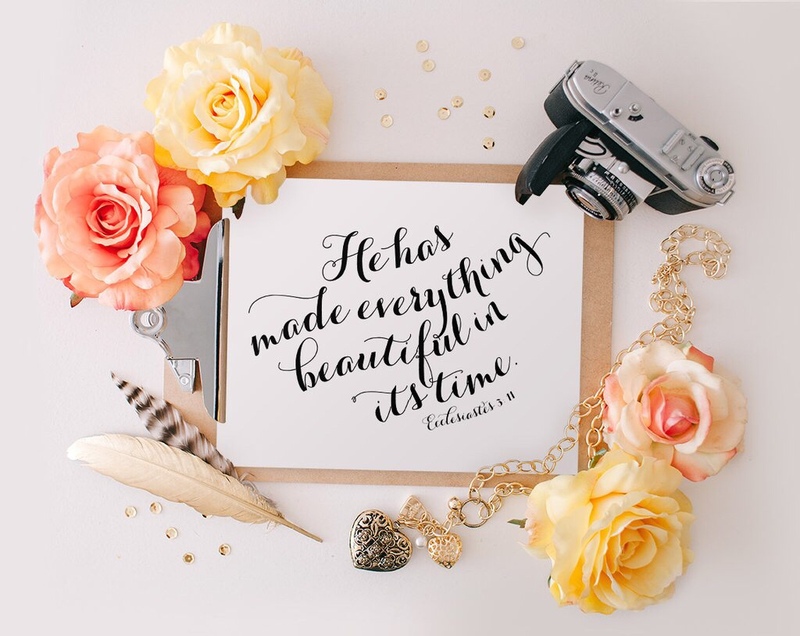 While this verse from Ecclesiastes often sparks thoughts of the life situations the Lord has made beautiful, I think it’s important to remember that the verse says “everything” and that means he’s made us beautiful too! I mean, looking back and then looking in the mirror, I realize just how much work God has done, and boy am I thankful that the me of today is no longer who I was! So if you’re in a waiting period can I encourage you that the lord may be silent right now, but he is not still! And he’s working- making you and your life as beautiful as it can be! Love you guys! If I can be praying for you, please let me know. It’s a joy to lift you in prayer! Next Post FASTer Way to Fat Loss Kickoff! His promises are so good! I missed church today! So sad, thank you for the short scripture! So glad the timing worked out! So beautiful. Thanks for sharing dear.